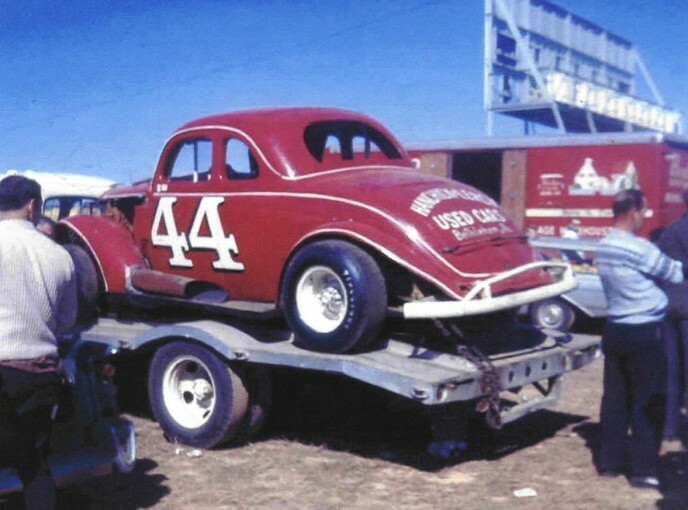 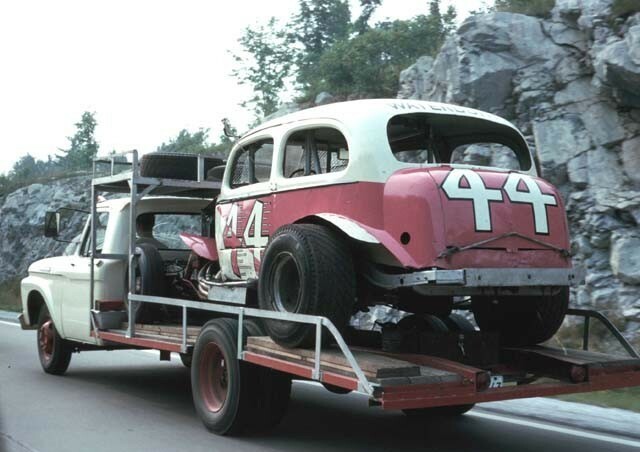 1965 – Hauler and car of Sharkey Gaudiosi. 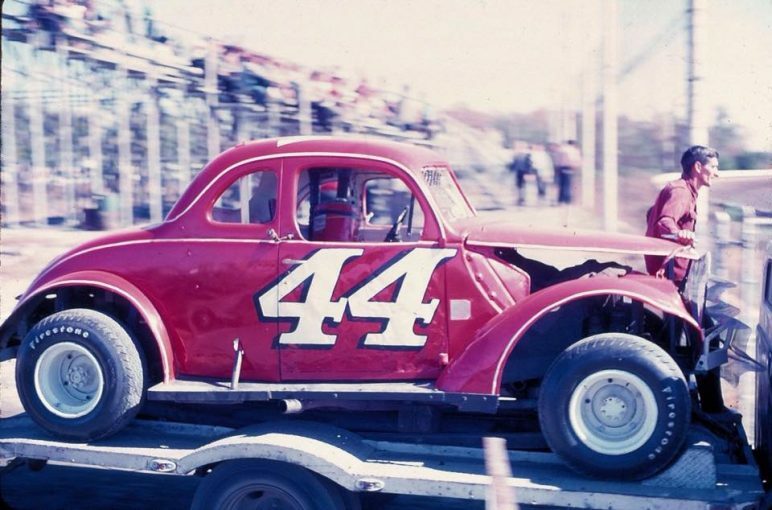 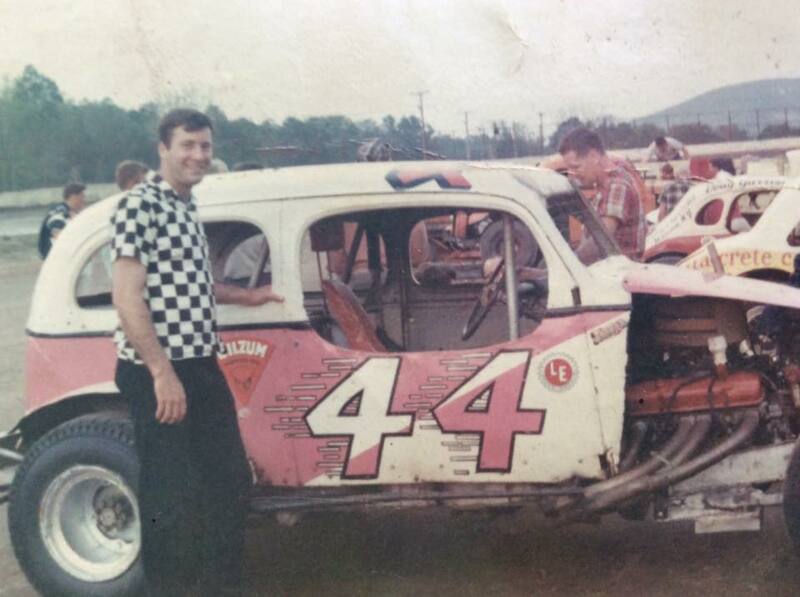 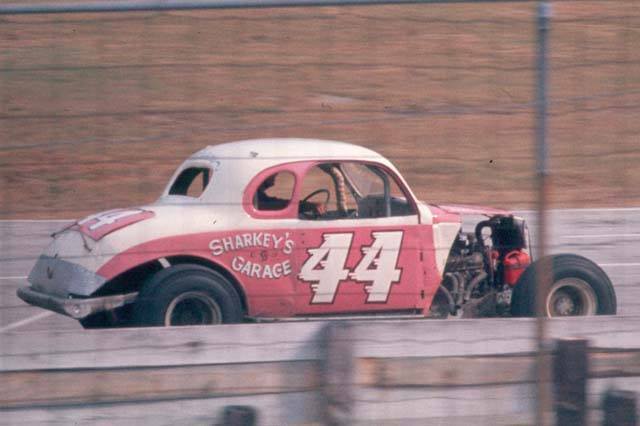 One of Sharkey Gaudiosi’s famous pink-and-white #44s. 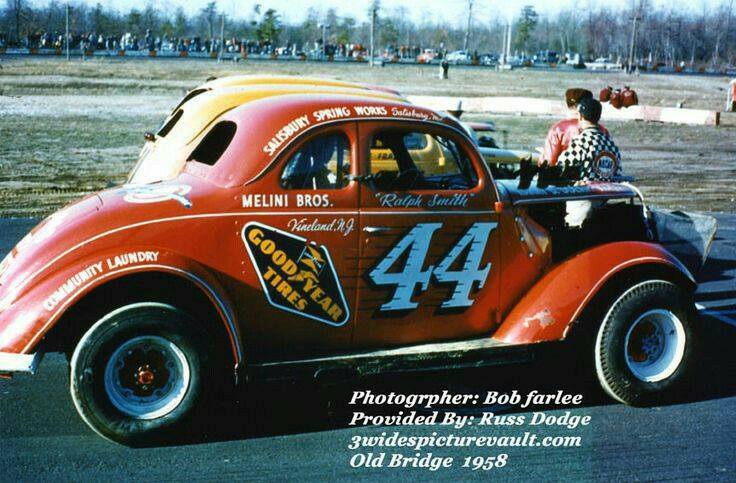 Riverside. Driving the Sharkey Gaudiosi #44 in this image is Hoppy Jensen. 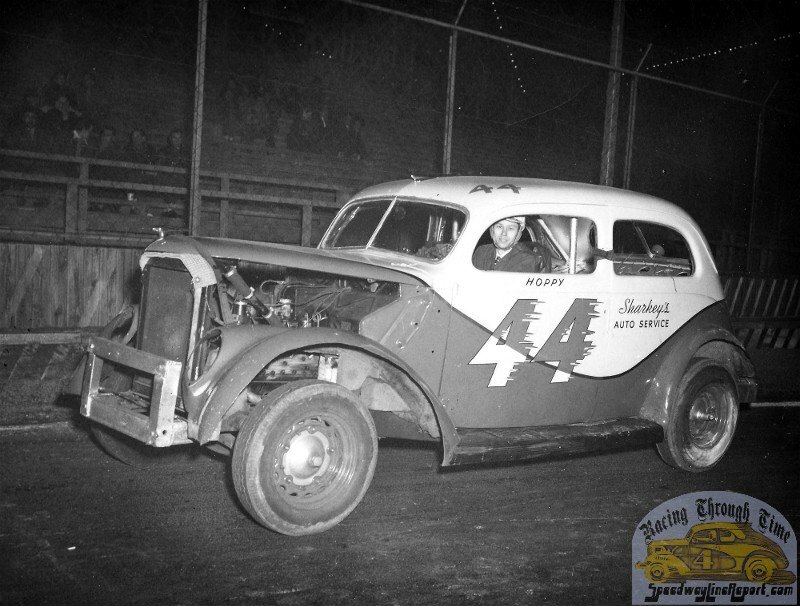 Photo by Shany Lorenzet, from Racingthroughtime.com.